Tenisha is a Consultant at UPD, serving as a strategic thought partner with districts, charter networks, state education agencies, and nonprofits across the nation in data-driven continuous improvement efforts, organizational transformations, and strategic implementations to maximize educational outcomes for students. Prior to UPD Tenisha worked at Booz Allen Hamilton on the U.S. Air Force “High Velocity Analysis Project” to quantitatively identify the optimal mix of military force required to meet wartime demands in a cost-effective, risk-minimizing manner. And prior to that she worked as a budget analyst for the National Academy of Sciences. 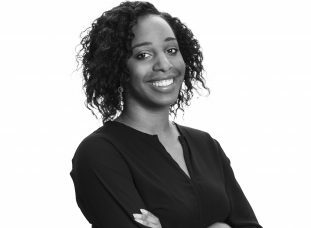 Tenisha holds a Bachelor of Science, Systems Engineering from George Washington University as well as a Master of Science, Engineering Management from the University of Maryland.